Sue is a Canfitpro certified Personal Training Specialist and nutrition coach dedicated to physical conditioning and wellness. A former business executive, Sue specialized in developing and coaching high-performance teams. 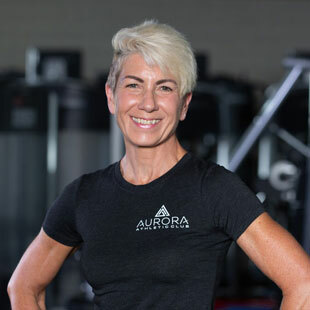 She combines her business acumen with her passion for fitness, customizing programs for each of her clients in order to achieve their fitness and wellness goals. Sue’s personal mission is based upon the belief that age and aging should not stand in the way of achieving a strong, healthy body.